What Happened to the A Line? : A description of why the A Branch of the Green Line, which ran between Watertown and the Subway, ended service. What Happened to the Arborway Line? : A description of why the Arborway Line, an extension of the E Branch of the Green Line through Jamaica Plain to Forest Hills/The Arbroway, ended service. Red Line: A subway branch of the T that runs from Alewife Station in Cambridge south through Harvard Square and downtown Boston to Dorchester or Braintree, depending on what train you take. I have also written a separate piece on the Mattapan High-Speed Line, the fifth remaining streetcar line in Boston, which serves as an extension of the Dorchester branch of the Red Line from Ashmont Station in Dorchester through Milton to Mattapan Square in Mattapan. Trackless Trolleys: A description of the history of Boston's trackless trolley routes and of the four remaining trackless trolley routes in Boston. Orange Line: A subway branch of the T that runs from Malden south through Charlestown, downtown Boston, Roxbury and Jamaica Plain to terminate at Forest Hills Station. The Orange Line is the branch of the T that has undergone the most radical changes over the years, read my article to find out more! Blue Line: A subway branch of the T with an especially unique history. The Blue Line runs from Revere south through East Boston and under Boston Harbor to terminate in Downtown Boston. 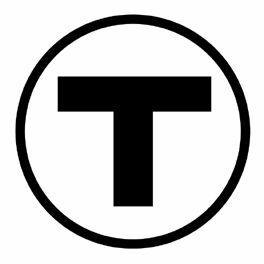 Photographing the T: A testimonial of my personal experience photographing and filming the T's system, particularly while producing Streetcar Tracks, and how I would advise one who wishes to photograph or film the T to go about doing so.